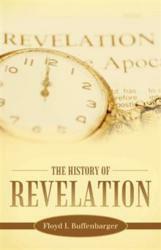 Floyd I. Buffenbarger’s new book “The History of Revelation” (published by WestBow Press) is an in-depth study of the history and cultural setting behind the Book of Revelation as it relates to apostle John’s banishment to the isle of Patmos. Revelation is a book of prophecy of God’s last call to an unbelieving population. A look at the Book of Revelation from a more historical view, viewed from scripture and yet to reveal the future of things to come each step from the Old Testament, until John wrote the book of Revelation in A.D. 96. The people during this era of time would have been familiar with the symbolism the apostle John used and as a result of the teachings of the Old Testament prophets and of the New Testament, apostles. Buffenbarger examines the history of Asia Minor during this period, noting the roles of early Christians and the persecution of the pre-Christian Roman Empire. Floyd I. Buffenbarger is a past Bible teacher, teaching from 1991 to 1994 on television in Louisville, Kentucky. For the last 30 years he has taught in public and private education, having earned a master’s degree in business from Century University in California and a theology degree from Liberty University in Virginia. Presently, he and his wife live in southern Florida.